“Eeeww” he says as he points down to the bathtub. I scan the tub surface wondering what Nick is trying to communicate. Then I see a tiny bug writhing around. Where these bugs come from I don’t know, (maybe from inside the pipes?) I only see the creepy critters in the tub. What’s with that? Of course I couldn’t resist turning on the faucet and torturing the defenseless thing watching it fight the swift current that led to the drain. 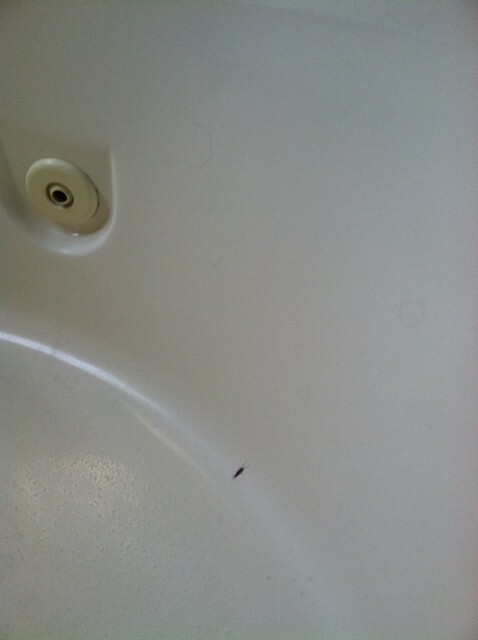 A few months ago I was shoring up the kitchen and again, Nick pointed at the wall next to the sliding glass window and saying “Eeeww!” There was a trail of tiny ants marching down the side of the crown molding barely seen. I find it interesting how Nick notices everything, especially the smallest of details. It’s near x-ray vision like Superman. He can scan a room and see something out of place then fix it. The last time the cleaning people came through, the kitchen table was turned at a rakish angle. (Is it just me or does anyone else have a cleaning crew that takes creative license? They are always changing the configuration of furniture or picture frames and knick knacks?) Sure enough as soon as he walked in the door Nick dropped his backpack and pushed it back to its rightful place. 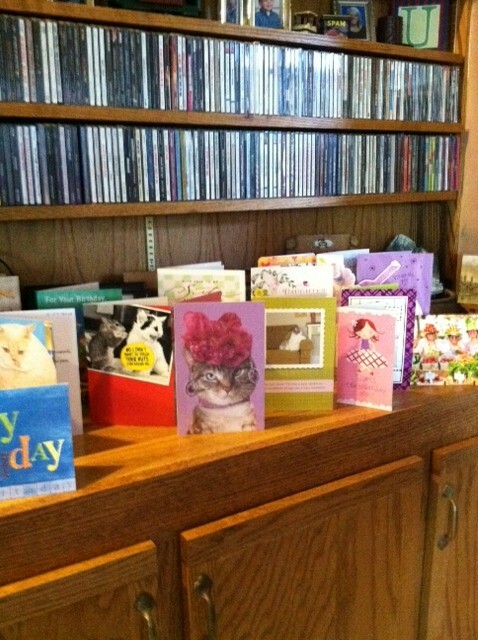 Just today, a birthday card fell over and he put it back up. Later, he pointed up to the ceiling in the kitchen saying “Uh-oh!” I look around to figure out what he is talking about and *lo and behold, one of the light bulbs burned out. Later, he saw a La Croix can in the kitchen garbage and he retrieved it and placed it in the recycle bin. Silly things I know, but I appreciate his attention to detail. 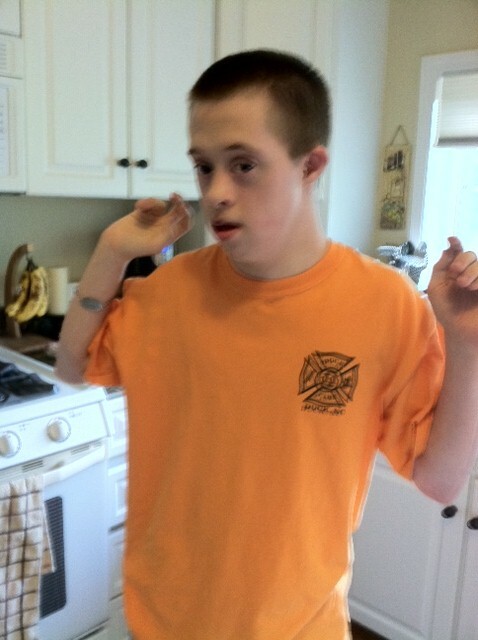 A few weeks ago in Blog # 5 Ready, Set, Action, I mentioned how well he has been doing with unloading the dishwasher. He knows exactly what every cabinet holds down to the last cup, bowl, plate, pan and knife and fork. I wonder if he has been sitting at the kitchen island taking mental notes all these years while Hank was doing the unload. The same thing goes happens with the groceries. He loves to help put everything away and with precision might I add. Now I wouldn’t say he is a savant by any means. He doesn’t know every single movie that won an Oscar nor what year it was or who had the starring role (like one of Hank’s high school acquaintances that has autism.) He never did obsess with lining up objects in a row. He just seems to have a keen eye that rather fascinates me. Let me give you an example. When Nick was around age three we would go down to my parent’s house to visit. Every single time, Nick made a beeline to the front bedroom, opened the toy box and pulled out his favorite, the duck musical toy. He did the same thing at my in-laws house heading straight to the bedroom that has the stash of videos and TV/VCR and his musical toys. When friends come over, it’s always fun to see how long it will Nick to try and grab their car keys. You can see his watchful eye taking note of where they set them down or where a purse is put. He waits and then strikes, scooping them up as he runs to the front door pointing them at their car and pushing the red panic button. 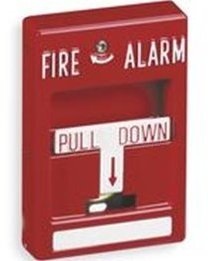 That is actually where all this started and preceded to the bigger bang…….fire alarms! Al and I have to hide our keys up high on the top of a kitchen cabinet. In Nick’s mind those red buttons=noise and chaos. 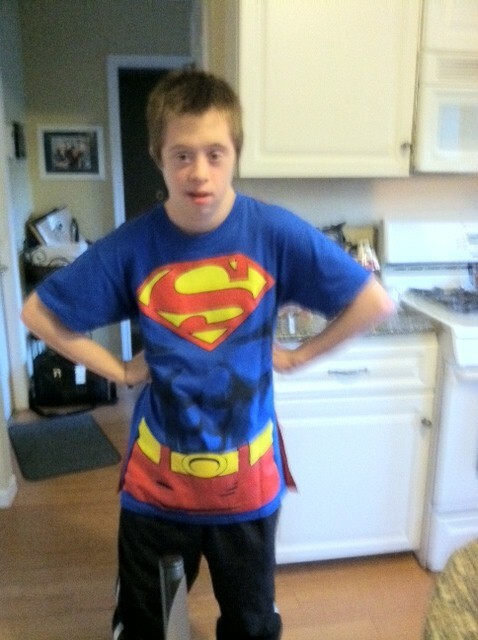 So that is what is in my noggin this week, my guy with x-ray vision and faster than a speeding bullet. Hope you enjoyed a slice of Nick’s world, the rest of us are just trying to keep up. Until next week stay cool and thanks for reading my rants, musings and information that hopefully offers some insight about raising a child with special needs. I enjoy your comments…. Keep ‘em coming! * “Lo and behold” according to The Phrase Finder, is an exclamation, on drawing others attention to something. It is used especially to announce things that are considered startling or important. The phrase is often written with an exclamation mark. Its origin comes from the word “lo” as used in this phrase is a shortening of “look.” So, lo and behold! Has the meaning of look!-behold! It has been used since the first Millennium and appears in the epic poem Beowulf. Next Post Blog #16~ Up, Up and Away! ThNks, Teresa…loved this week’s blog. The education we get with each blog is so transferable from Nick to the larger audience…and it helps everyone not only to be tolerable for those with the disability but embrace the caregivers and Moms & Dads, brothers, sisters and UNDERSTAND vs. the “looks”. Thank you! He came close a few weeks ago at ESY, but no cigar. Daina, well done…..but never say never…hee hee ;)Thanks for taking time out of your summer to teach, Nick loves you! Gosh, I’d like his help putting away the dishes and the groceries, tasks I don’t particularly like. Thanks for broadening my world by sharing Nick’s world.